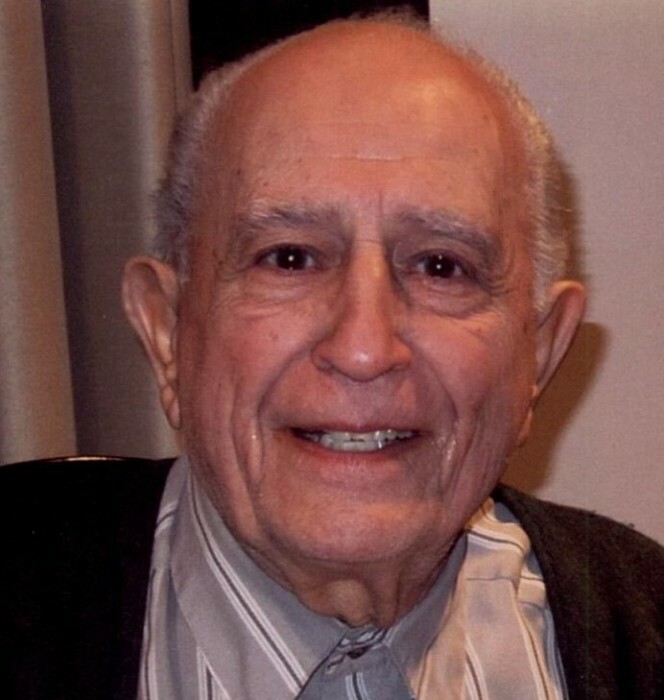 Pasquale Ferragine, 92, of Red Bank, passed away on November 5, 2018. He was born in Red Bank, NJ to the late Pasquale and Mary (Mancuso) Ferragine. Pasquale enjoyed spending his time at Monmouth Park Racetrack with his brother Robert. He also loved celebrating his birthdays at Carmine’s and playing the slots in Atlantic City with his family. He spent his professional life as a jeweler for many esteemed companies. Most importantly, he was a fun loving husband, father, and grandfather who was happiest when surrounded by his family. He is predeceased by his wife Marie in 2008 and his brother Robert Ferragine in 2018. Surviving are his loving children Patrick Ferragine, Maria and her husband Kent Croft, and Philip and his wife Gloria Ferragine, his cherished grandchildren Ginger and her husband Thomas McGurl, and Daniel Hall. A special gratitude is extended to his loving and dedicated caregiver, Stephanie Wrieole. Also surviving are numerous nieces, nephews and friends. He will be deeply missed and forever remembered by his family and all who knew him. Visitation will be held at the John E. Day Funeral Home, 85 Riverside Avenue, Red Bank, NJ 07701 on Tuesday November 13, 2018 from 9- 11 a.m. A Mass of Christian Burial will be held at St. Anthony of Padua in Red Bank at 11:30 a.m. Interment will follow at Mt. Olivet Cemetery in Middletown.